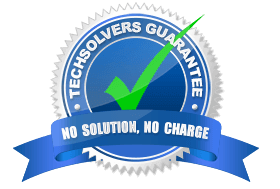 At TechSolvers, we believe in giving credit where credit is due. We’d like to give a big shout out to the following products and services that made it much easier to get our business up and running. WordPress is the worlds most popular Content Management System. It’s easy to setup, theres a huge friendly community and there are thousands of plugins available for use. NetVirtue are an Australian based Web Hosting provider. Their prices are very competitive (especially if you take advantage of one of their coupons like what we did) and the service is excellent. Highly recommended. We’ve been using Ubuntu for years and decided to run all of our virtual machine clients on Ubuntu. It’s simple to setup, it does what it says on the tin and it’s free. 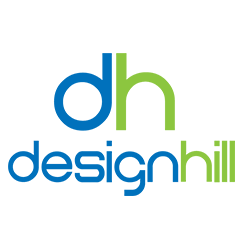 We used DesignHill to host a Logo / Business Card / Facebook Cover Design competition when we setup the business. We were very happy with the end product although we perhaps underestimated the amount of effort that would be necessary to get there. Zoho operate a freemium business model for mail hosting – sign up and you get 5 free email addresses, Zoho expects that you’ll love their service so much that when you need more email addresses, you’ll be happy to pay. We think they’re right. We’ve used Zoho for our email since day one and we can’t knock em. Use our referral code xly6odKm when signing up and we’ll both get an extra 5 email addresses. Finding the right stock images for your website can be a time consuming process. We enjoyed our experience of the following online stock image services. Out of all the stock photo services we considered, Adobe Stock had the best selection of photos. Their pricing is reasonable however if you aren’t 100% certain, you can sign up and get your first 10 images for free. BigStock has a reasonable range of photos, their depth and range is not as great as Adobe but they are more affordable. My only gripe with their service is the website could be better. You can use their 7 day free trial to sample their service before signing up. Graphic Stock is very competitive on pricing however their range (for our purposes) was not as comprehensive as Adobe or BigStock. Graphic Stock offer a free 7 day trial, they are definitely worth checking out. If you’re looking for logos in vector format, we found WorldVectorLogo to be an excellent resource. Contact Form 7 Serial Numbers creates unique identifiers for Flamingo inserted Contact Form submissions. These are obviously useful for customers when they need to followup on a booking. We use Contact Form 7 Conditional Fields to drive some of the logic in our Contact Forms. The Font Awesome icon set is found all over the internet these days and for good reason. The icons are well crafted, the set is extensive and its free. The handy Better Font Awesome plugin exposes the Font Awesome icon set within Divi.